The iDealwine WineDex® indices, which measure the evolution of fine wine prices over the past 10 years, saw a decrease of 1.14% for February, while the demand for older vintages grew. The year kicked off with very dynamic Online Auctions, which continued to draw international interest. 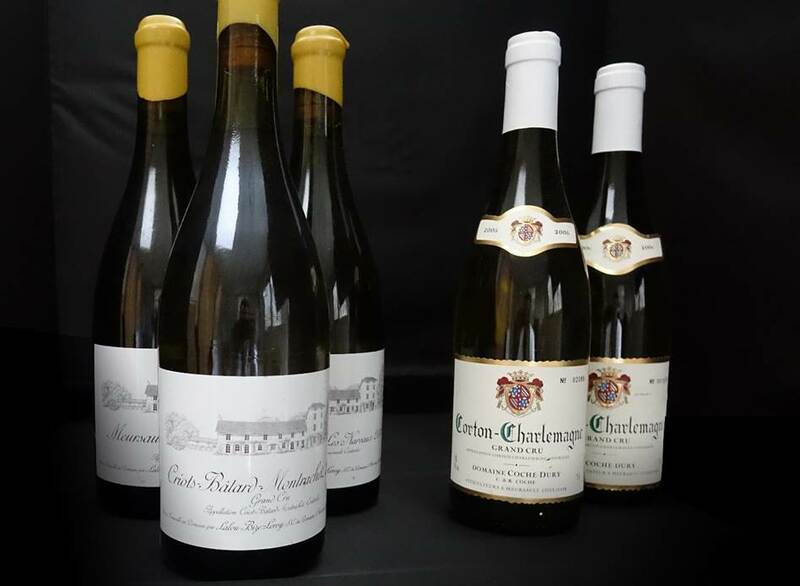 Nearly 50% of purchases at the most recent iDealwine auction were made by buyers throughout Europe (excluding France), Asia and the United States. These buyers favoured older vintages, while prices of more recent ones remained stable. The iDealwine WineDex® Bordeaux displays the auction price evolution of the 40 most sought-after Grands Crus (or equivalent) from 2001 to 2010. In February, this indicator recorded a decrease of 1.24%. 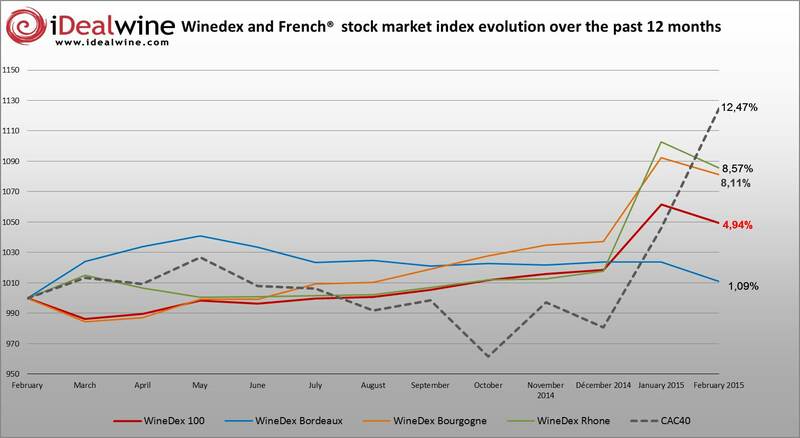 This follows the recent slowdown, with the WineDex® Bordeaux rising by only 1.09% over the past 12 months, making it the lowest performer of the WineDex® indices. Older vintages, however, showed more favourable price movements. Château Mouton Rothschild’s 1980’s and 1990’s are now very popular, as are those from Haut Brion and, to a lesser extent, Margaux. 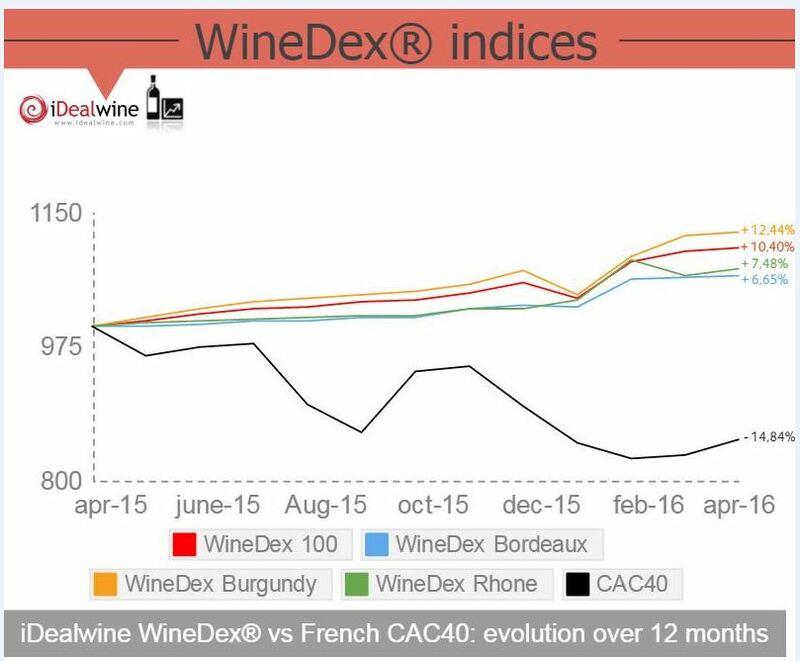 The WineDex® Burgundy index decreased by 1.02% in February. This gave a welcome break from the continuous rise of prices over the past four years, due to its scarcity. 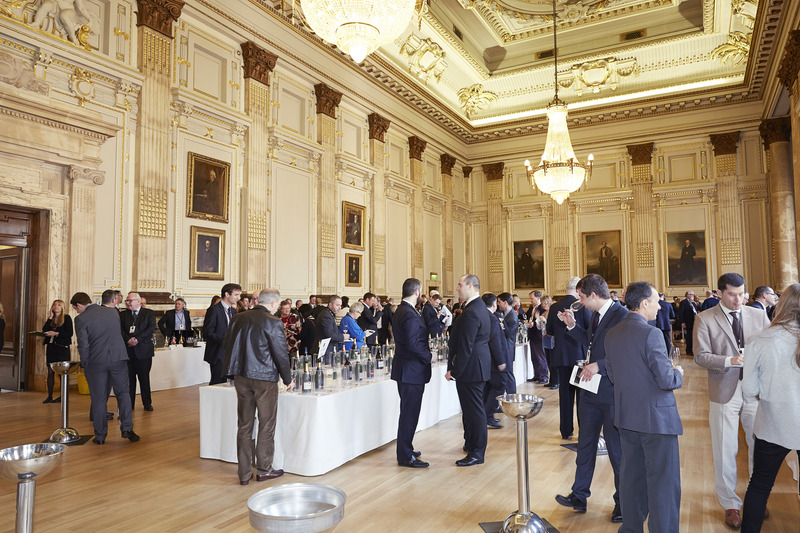 Asian private buyers extended their range of bids to include older vintages, with mature Grand Crus from La Tâche and Richebourg proving particularly popular. This, however, does not exclude the latest vintages from Mugnier, Rousseau or Roumier, which are still selling for high prices. 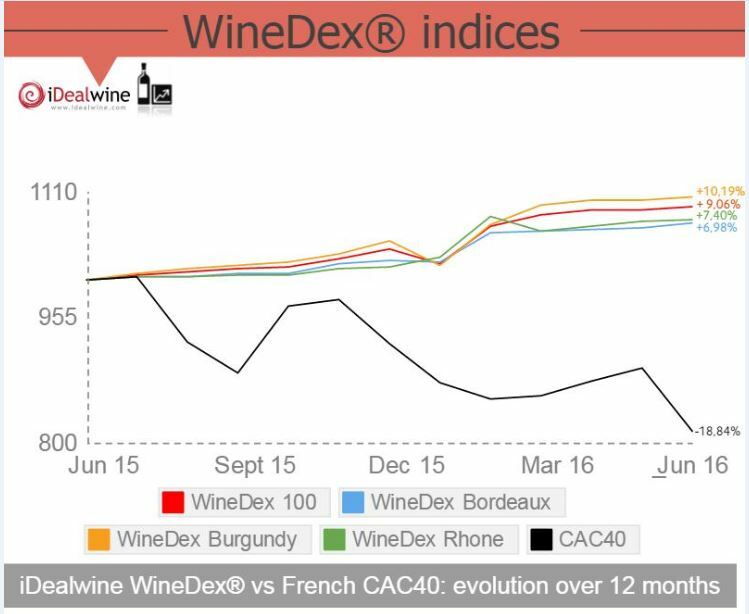 The performance of WineDex® Burgundy remains largely positive over the past 12 months (+8.11%). In the Rhône Valley, there was a bigger contrast between recent and older vintages. The WineDex® Rhône decreased by 1.53% in February, which can be attributed to the succession of great vintages (2005, 2007, 2009 and 2010). Therefore the value for these wines increases at a slower pace. Yet, over time, great bottles of Côte-Rôtie, Hermitage and Châteauneuf-du-Pape usually realise price increases. This is the case with Jamet of Côte-Rôtie, where the recent vintages are no doubt worth watching. The dynamic US market, combined with the global appeal of these wines, should in time support the potential higher prices. Yet, you will have to be patient, since these wines will only reach their peak after many years of ageing. 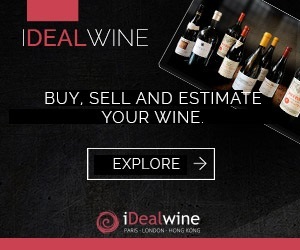 Learn more about the iDealwine WineDex® indices. The iDealwine price estimates are calculated from the results of the main French auction sales (250 sales per year, since 1992). It includes buyer’s premium.